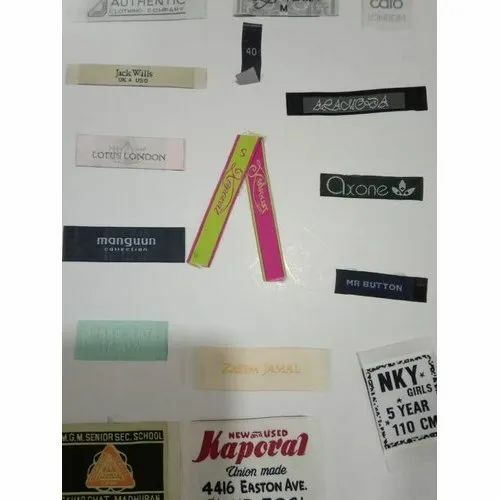 Established as a Sole Proprietorship firm in the year ----, we “Rarecrafts Incorporation” are a leading Manufacturer of a wide range of Woven Label, Leather Patches, Header Card, Barcode Sticker, etc. Situated in Noida (Uttar Pradesh, India), we have constructed a wide and well functional infrastructural unit that plays an important role in the growth of our company. We offer these products at reasonable rates and deliver these within the promised time-frame. In addition to this, we are also involved in offering best-in-class Digital Printing, Printing Service, PAPER BAGS, FOLDER PRINTING, PLATE PRINTING, KEY CHAIN, UV PRINTING and ENVELOP PRINTING to our esteemed clients. Under the headship of our mentor “Deepa Joseph”, we have gained a huge clientele across the nation.